Losing your hair is something which affects around half of all men, and can result in a lot of distress and worry. Many people who are suffering from baldness are constantly looking for different ways to resolve the problem so that they can once again enjoy having a full head of hair, and the confidence that goes with it. If you suffer from thinning hair and baldness, you may possibly have considered hair transplantation surgery, however this is a treatment that can prove to be extremely expensive as well as invasive. Here, we look at what exactly is involved in having a hair transplant. What Exactly Is Hair Transplantation Surgery? This kind of surgery involves taking hair from one area of the body and moving it to the head to cover bald patches. Although the first hair transplants were carried out as long ago as the 1950s, modern techniques have undergone a number of changes and there are now two methods which can be used. The first is a FUSS procedure (short for Follicular Unit Strip Surgery) and the second is called FUE (or Follicular Unit Extraction Surgery). The FUSS treatment involves having a strip of skin measuring between 6 and 10 inches removed from the head and then the scalp being sewed closed. 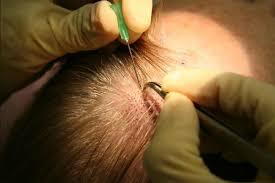 The removed scalp is then split up into small grafts that have individual hairs on them. During the FUE method, the back of the scalp is shaved, the follicles removed, and grafts are prepared. For both methods, the next step is to have the grafts placed on the parts of the head where more hair is required. The entire procedure can take as long as 8 hours or as few as 4 depending on the site of the transplant. How Well Will I Recover? Hair transplantation is a form of surgery, so patients should expect their scalp to be painful for a few days following the procedure and may need to take strong painkillers. Bandages need to be worn for a few days and antibiotics may also need to be taken to prevent possible infections. Patients will also need to stay away from work for around 5 days. After a couple of weeks, patients will notice that the transplanted area of hair will fall out, and while this may be alarming, new growth will appear to cover that area within a couple of months, with most patients seeing brand new hair growth within 9 months of the treatment. What Are The Downsides Of Hair Transplantation? Hair transplant surgery is very expensive, and it also comes with several risks. Some patients experience infections or excessive bleeding, while others have scarring or unusual hair growth patterns. Some patients also find that their new hair follicles develop infections which need to be treated with antibiotics, and others find that they lose even more of their original hair at the site of implantation. Should I Have A Hair Transplant? Not everyone is a good candidate to have hair transplantation surgery. The candidates who are most likely to be successful are men who have had a steady pattern of hair loss over many years, but whose balding appears to have stabilized. They should also be in good health and be non-smokers in order for the procedure to be most effective. If you decide that surgery is not the right option for you, there are other ways to disguise the problem of thinning hair that are much more cost-effective and considerably less invasive. A hair loss spray for men can coat the individual strands of hair to cover bald patches and to make the existing hair appear fuller, helping to restore the attractive appearance of your hair while boosting your self-confidence. Hair loss is a common problem in both men and women. Those that suffer from hair loss, particularly in cases of male pattern baldness or a maturing hairline, often choose to undergo a hair transplant procedure. The surgical operation allows those who suffer from baldness to gain a new lease on life and benefit from a fuller head of hair. There are two methods widely used for hair transplantation: follicular unit extraction, abbreviated as FUE and follicular unit strip surgery, known as FUSS. FUE involves the individual removal of hair follicles, often from the back of the head, while FUSS involves removing a strip of follicles from a donor site on the body for use on the scalp. As with any surgical operation, after a hair transplant there are a number of protocols that patients must follow in order to keep their scalp protected and allow for the hair to regrow. These include immediate care, vital care within the first two weeks and ongoing care to ensure that the best regrowth is enabled. 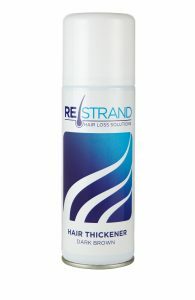 Once the hair has started to regrow, hair thickening spray can then be used to create a full natural look. Immediately after the hair transplant surgery, the area will be extremely tender and the doctor will generally wrap the scalp in bandages to prevent infection and to protect the area. The first few days after surgery are some of the most important days and certain care must be provided to the area if the transplant is to be a success. For the first 12 hours after the procedure, many doctors require that a saline solution is sprayed onto the scalp at 20-minute intervals. While the area cannot be touched, the solution must be applied to every follicle and once the 12 hours are over, after sleep, this has to be continued at 30-minute intervals for up to 3 days. The process stops scabs from forming on the tender area and enables the grafts to stay fully hydrated. After the first 3 days, a regime of shampooing is suggested to keep the area clean and hydrated. Every day a mixture of approved shampoo and water must be applied to the scalp and then gently wiped away afterwards. After between 7 and 10 days, any stitches used in FUSS procedures will be removed but the careful regime of shampoo washing is generally advised to continue up until 14 days after the operation. Once the first 14 days are over, the level of care needed to maintain the area significantly reduces and it is advised to return to a normal regime of hair washing. However, any intense activity could still agitate the area, so refraining from excessive exercise or heavy lifting is advised for at least 2 more weeks. It often takes a period of 12-18 months for hair to regrow fully after a transplant, but in many patients the hair will see some growth after a period of 3 months, after the transplanted hair has fallen out. During this time and ongoing, hair thickening spray is commonly used to make the new hair appear fuller. The best quality hair thickening spray works unobtrusively with transplanted hair to further increase the thicker appearance, helping people to get the most out of their hair transplant.